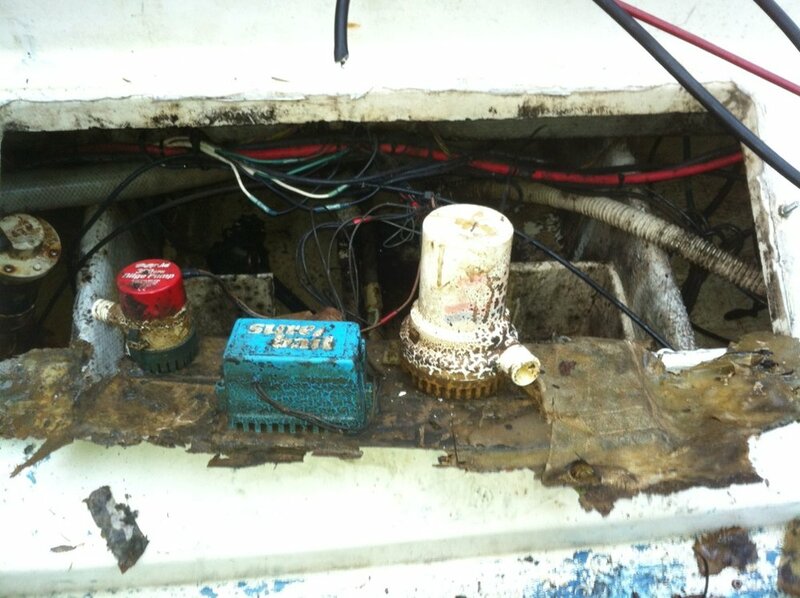 There are two ways you’ll know if your bilge pump system fails however, one of them isn't pretty. No matter how much we use our boats to fish and cruise there is one place where they spend lots of time: at the dock. According to Boat U.S., about two out of three (69%) boats sink at the dock or mooring. Protect your investment by making sure your bilge system is operating properly and your high-water alarm is fully functional and loud. Every boat is unique in design and you should know your vessel’s idiosyncrasies. I have had a number of boats over the years and they all had some peculiarities related to water drainage off the deck, around in-deck hatches, and from the live-well. Recently a slow leak attributed to an overflowing sump which was caused by A/C condensation took months to find and fix. Oftentimes poor design or modifications over the life of a boat will alter drainage water flow in critical areas. Investigate your own boat and know its vulnerabilities. Protect your boat and yourself from unpleasant surprises by caring for your bilge pumps, bilge switches and their related electrical gear in the proper manner. Added protection, normally mandated by your insurance policy, should be a bilge high-water alarm—which can be as simple as a float switch coupled to a loud horn. 1. Make sure all needed drain plugs are properly secured in place. 2. Make sure all deck drains and scuppers are clear of debris. 3. Make sure all deck hatches are in place and properly secured. 4. Make sure your bilge water is clear of debris that could interfere with proper float switch operation. 5. Make sure your battery system is fully charged with no current leaks. 6. Make sure your bilge switch is properly positioned for automatic operation. 7. Check to see that all electrical connections to your bilge and high-water alarm are corrosion free and properly secured. 8. Carefully examine all the hose, hose clamps, and fittings connected to your bilge pump for leakage or corrosion. 9. Make sure your bilge pump is mounted securely. 11. Operate your bilge pump and check for proper operation using both the manual switch and float switch. 12. Check for proper operation of your high-water alarm system. The louder the better. If you're an absentee owner, then let Boat and Yacht Masters of Florida ensure your vessel is safe and secure by conducting weekly or bi-weekly equipment and slip checks. We have established relationships with many marinas located along the Central Florida east coast and our expertise and professionalism will provide you with peace of mind that your boat or yacht will be above the waterline the next time you visit.